A mod that aims to FCO'fy the remaining npc's left by FCO. Do not re-release to other sites. It's been almost 2 years since FCO's last update. 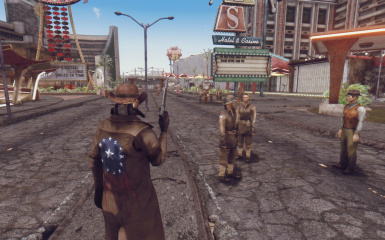 Going back to New Vegas I'd expect a lot of mods to get completed, but alas we noob level modders have to fill in the blanks for the elites. So here's where this little mod makes it's entrance. The main goal of this mod is to FCO'fy the remaining NPC's left by FCO. Yep, I've painstakingly edited every last NPC whose face you can either see from a distance or glance at nearby, just like I did for all the females in the earlier versions of FCO. It's a frustrating process, having to wade through countless records of ugly npc's, checking if they are even used or not and determining whether you'll see those NPC's ingame. Some NPC's are easily beautified by just changing the Race record but some faces are just blatant clones of each other and some have fucked up morphs, it's no wonder Drumber and co. moved on to other things. I did this mod in a span of a few days but this is still a work in progress and I have to work within my limits (My laziness limits...) so not everything is done. 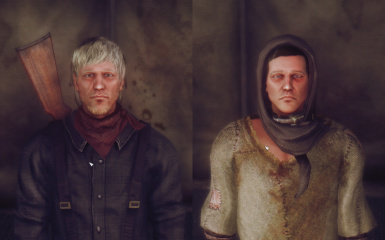 More NPC's I may have missed - (Will find some as I play through the game) PROGRESS = 75% of the game completed. More Immershun! - (e.g. 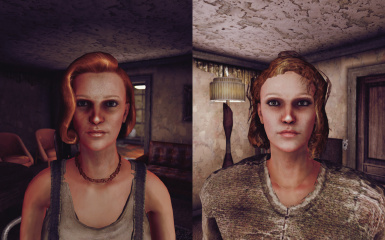 Mrs. Hostetler and Alice Hostetler will now look related as well as the Weathers family plus more) PROGRESS = Set at 70% since there may be more NPC's like them. Proportion fixes - (Fix for some overly sharp female chins, uncanny valley eyes, appropriate expressions) PROGRESS = 50% Needs a lot of renditions. Voice Mismatch fixes - (e.g. Comm Officer Lenk's voice actor sounds older so I made her look older, I know she sounds African american but I don't want to stray too far from their original designs) PROGRESS = 10% Will find more as I play. More personalized unique NPC's - (I can only do so much since FCO just uses one face model per race) PROGRESS = 50% Needs a lot of renditions. *I am currently playing through the game and will naturally change all that needs changing, then the new version will be done when I finish the game. It may take some time since I only play for a few hours every weekend - so it's done when it's done, please don't ask when). *Update to newer Uncut mods by RoyBatty(https://github.com/Uncut/Uncut) and separate "Freeside Open" and "Outside Bets" changes as .esp patches. 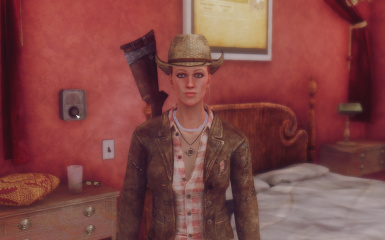 *Please note that this mod does not fix pink faces. You will still need to install lunarionsilver's FCO Bugfixes for fixing them. *The changes in this mod may eventually be integrated into FCO (dunno when). Until then, the mod is available for those who need it. Report any NPC's that I've missed to change. Before you do check the list in this page again. 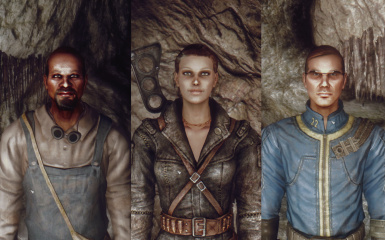 If you report that I didn't change an NPC's face whose fully clad in Power Armor + Helmet or someone wearing a full headgear, I'm seriously stopping work on this mod. Also if you report that Jason Bright or somesuch NPC listed here is left unchanged, I'm seriously jumping off a cliff. If you're going to report, please please please mention the EditorID. 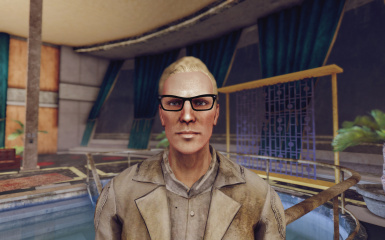 I ain't about to go finding someone described as "There's a guy in Freeside who still have a vanilla face PERIOD" within thousands of NPC records. Even better, if you have FCO like assets in the WHAT NEEDS CHANGING list feel free to send them to me and you will receive the proper credit. I'll do the GECK dirty work for you. Otherwise we'll have to wait until the next big FCO update for the assets or if I miraculously gained the mad skills for creating the needed textures. But alas it won't happen and I'm a lazy noob level modder. Sorry if i'm a bit prickly about this. But hey, didn't I mention I was lazy? Plus there's this thing called life that I have to attend to unfortunately.